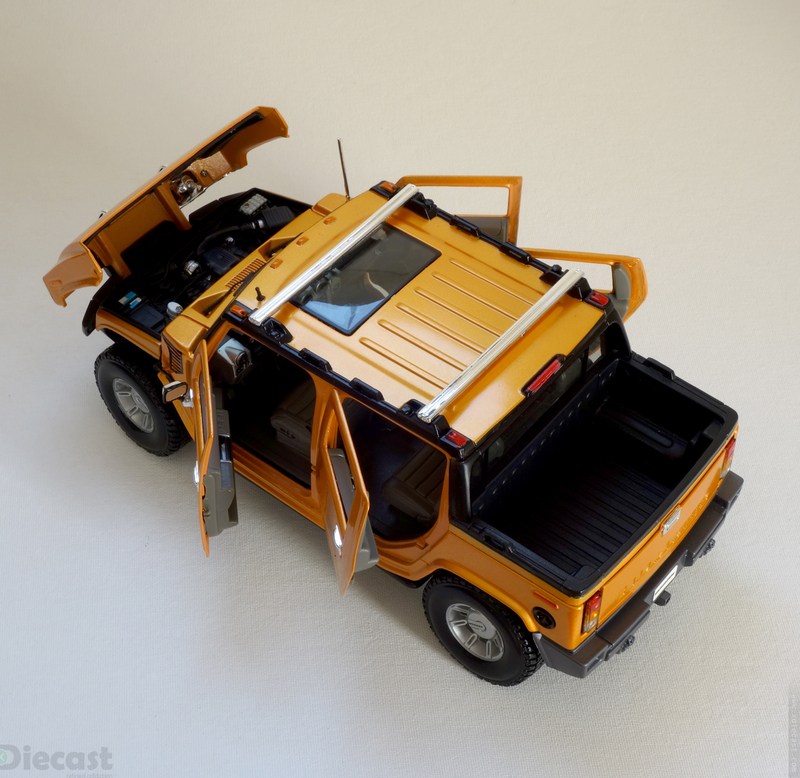 Hummer SUT Concept is by far my favorite SUV and this orange model just makes me go crazy. 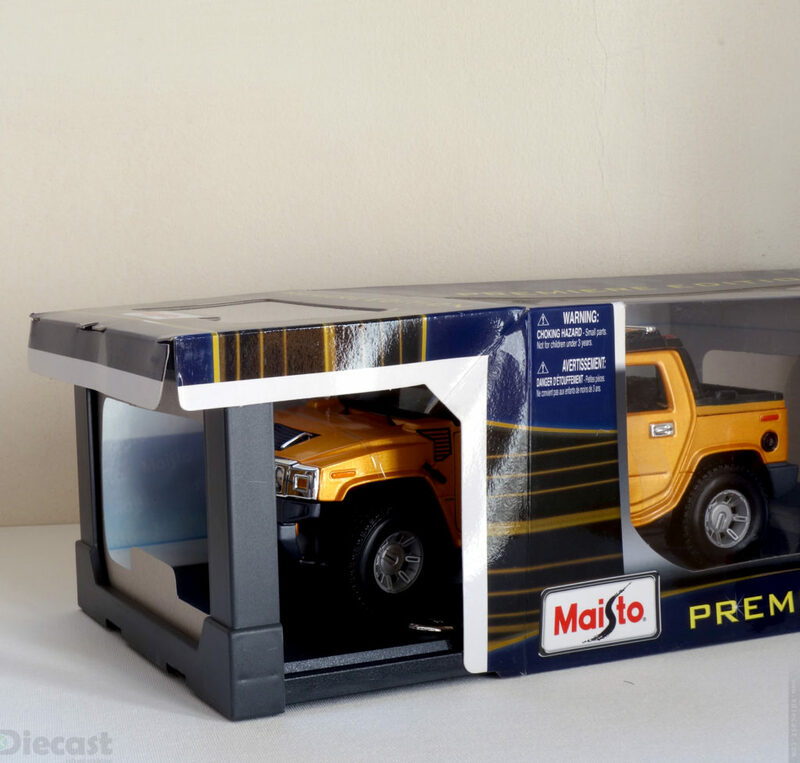 I first got a glimpse of this brave hummer back in my school day on an AUTO Magazine and it immediately took a place in my wall not to mention my heart for ever. And when I heard about this 1:18 diecast model by Maisto, I wanted it badly but I could only see them online and at a very premium prices… And if you are in India, you would know about the shipping charges and those crazy import duties that may ruin the feel of owing a budget model. 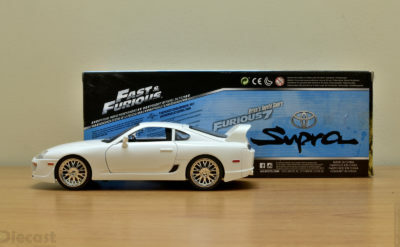 So I waited and waited till the day is good and that day is now, when I saw this beauty in the hobby shop’s pegs. 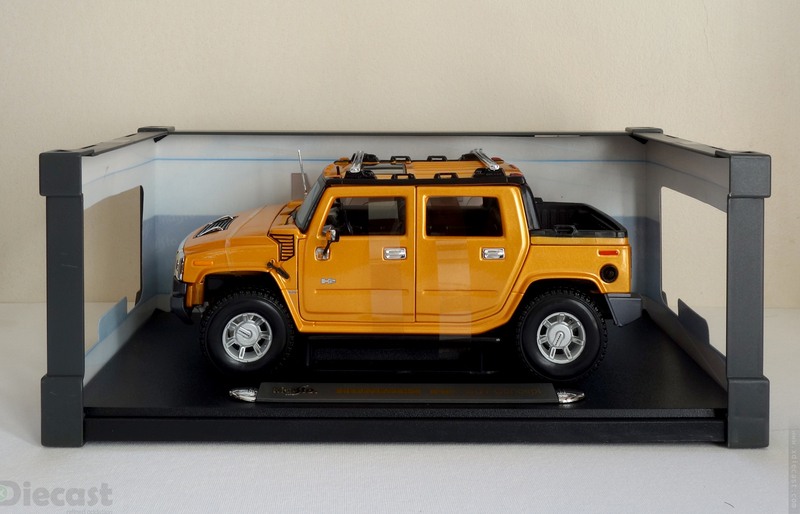 I almost immediately bagged this Hummer H2 and waited a for some time to unbox because of my work schedule. So lets get cracking! 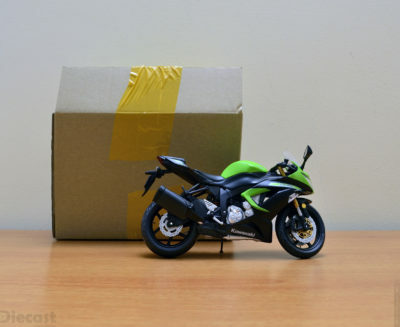 First things first… This is not a recently produced model looking at the package, but that dint stop me from getting this into my collection. 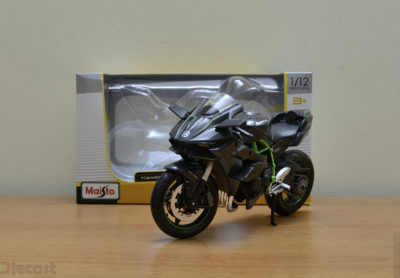 Yes you heard it right… This is not a model that is produced recently! 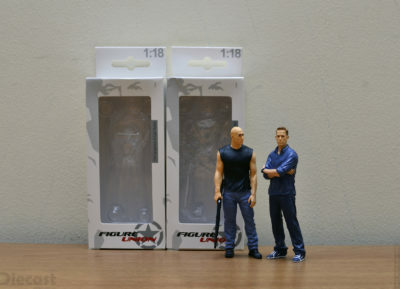 Going with what the details that the box holds, this should be have been produced either by 2010 or slightly before. 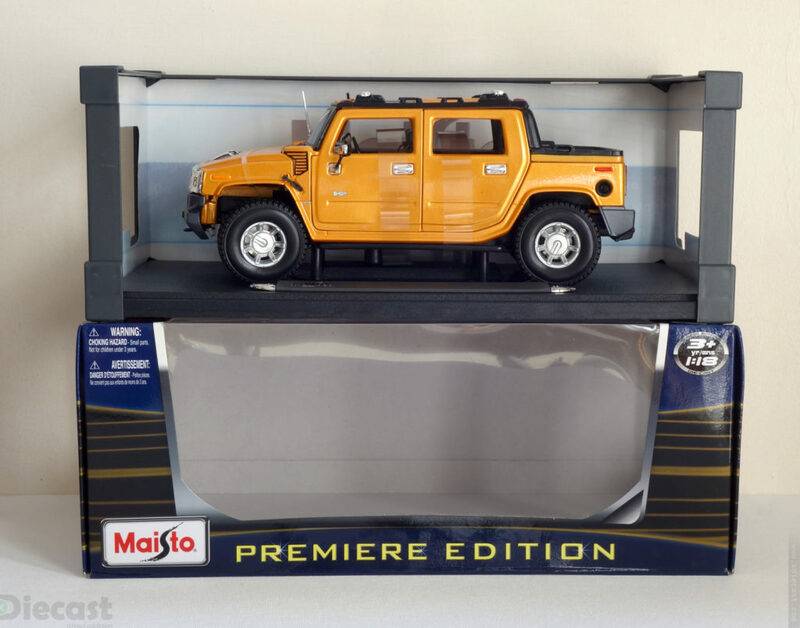 So I would have to call this a legacy model(though this does not love to be called that way) but I love the package… To start with, the bottom end has licensing details along with brand logos, which give you a feeling that you are buying a genuine scale mode not a glorified toy! 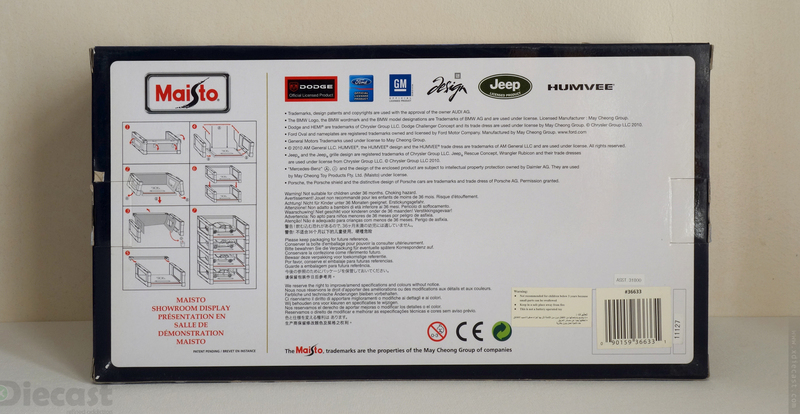 Also this being a “Premiere Edition” comes in this Maisto Showroom Display frame, which is cool! 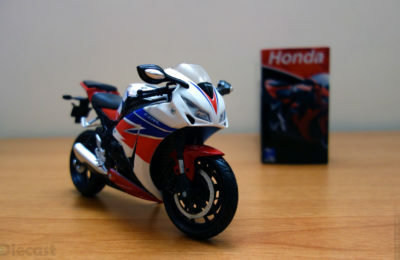 I do miss this though it serves no purpose at all in my huge collection display! 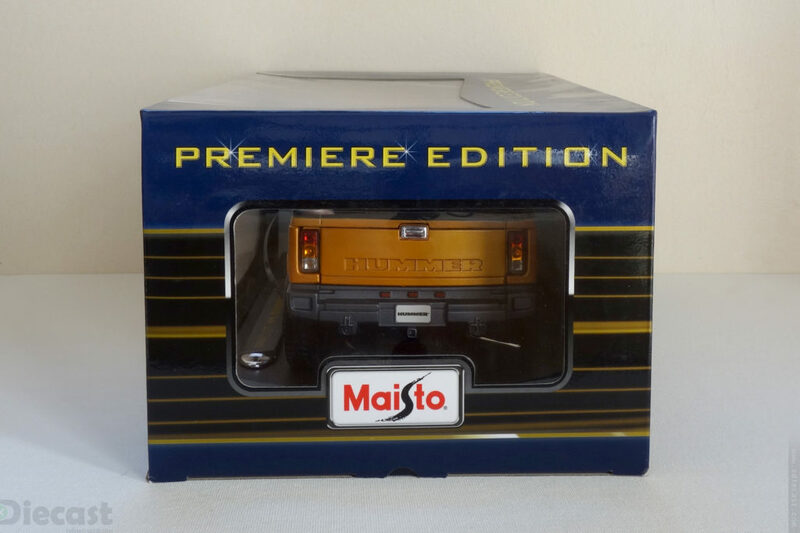 The box opens up just like any other Maisto would be but what I like about this package is that it still is firm and feels a lot premium than today’s modern day packaging! That plastic frame gives that structural rigidity without compromising on the view that this windowed boxes are designed to deliver. 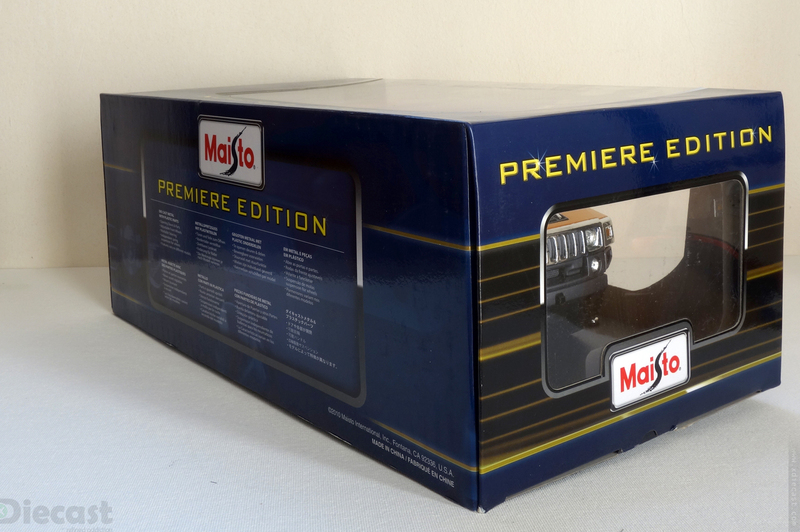 End of the day it is a good box, bravo Maisto. 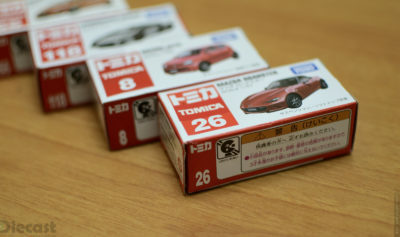 Though I love the newer styrofoam boxes that Maisto’s Exclusive edition scale model come in but these are the boxes that gives you that feel of owning a scale model even without opening the box up! The Maisto Showroom Display setup takes it to the next level by giving an option to stack one on top of another, giving you that showroom stack looks in your displays or diorama if you want to. 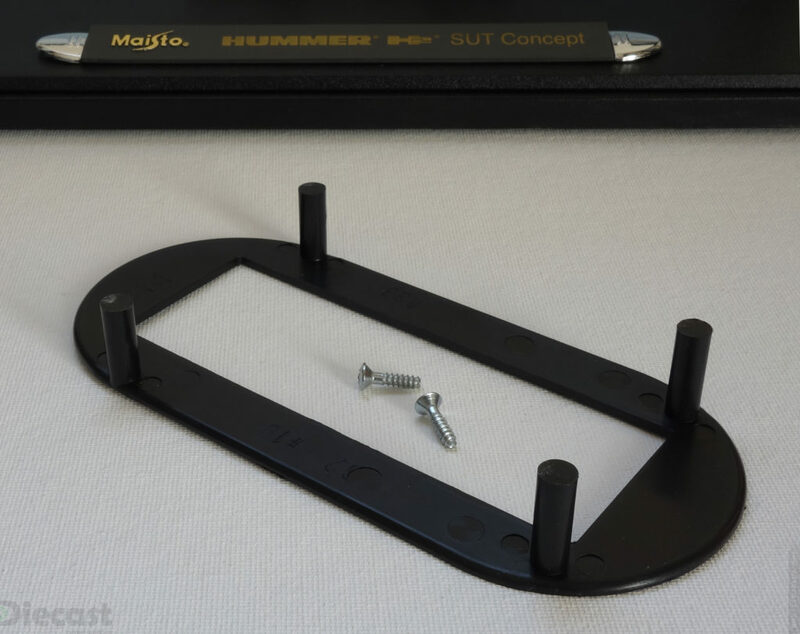 All that you need to open this bad boy Hummer H2 SUT is a screwdriver(philips head) and a knife you like cutting those tabs, but I would suggest not to cut them as they may come handy if you decide to repack them for storage or for movement. The one annoying bit in this entire package is this bottom lift bit that some how is intrusive when you decide repacking this baby. 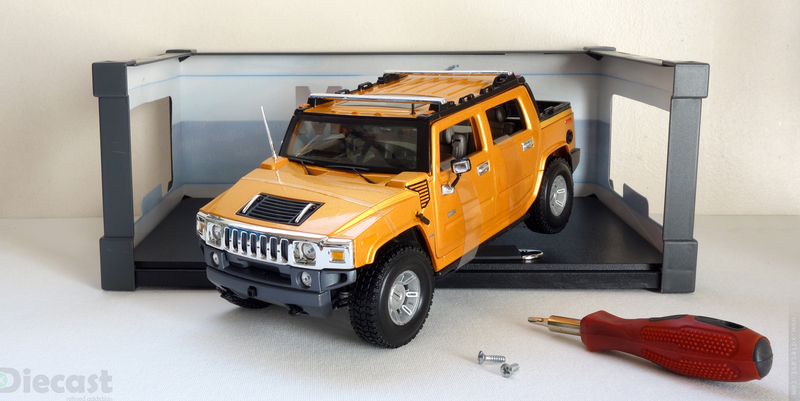 I kind of feel that this Hummer H2 SUT looks bigger once out! I know that is technically not possible but that me felling…do write a comment if you feel the same! 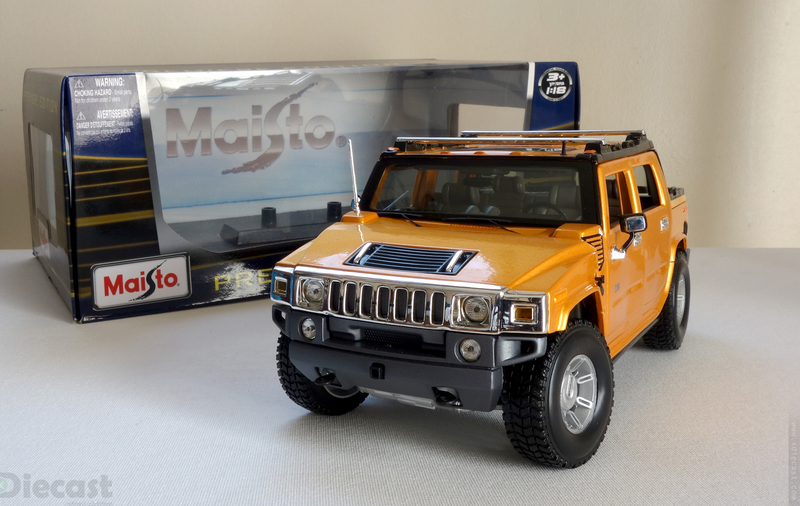 May be I am feeling so because the box that is been used is the same as other 1:18 model but this Hummer is massive so I sort of feeling so! 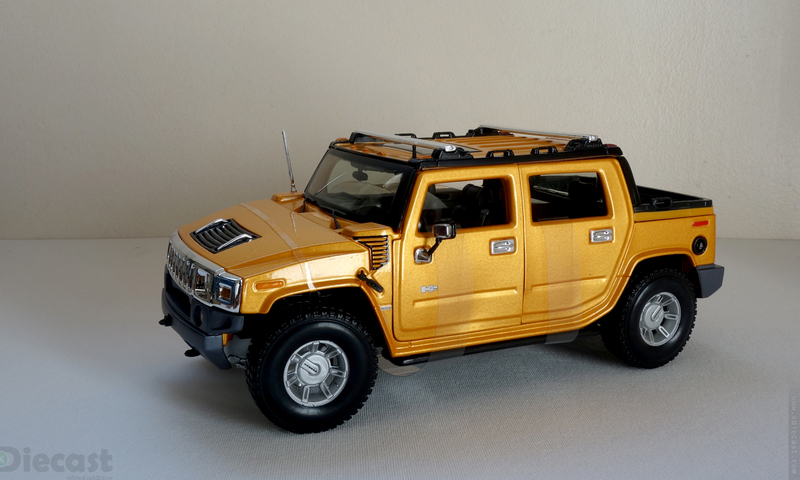 I kind of love the chrome in this Hummer H2 SUT though in real life I hate chrome and I hate them in any form! Not many Hummers look great with this much chrome but this one is super cool and the color I guess is making it all that wonderful and paved way to a new array of Hummer that rocked our way. 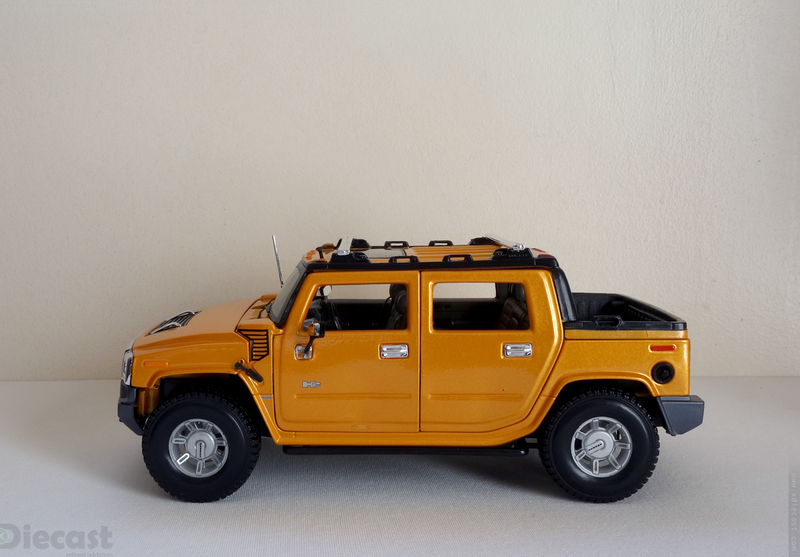 Though this is not a review, I wanted to give you some insights on this Hummer H2 SUT that took my world by storm. 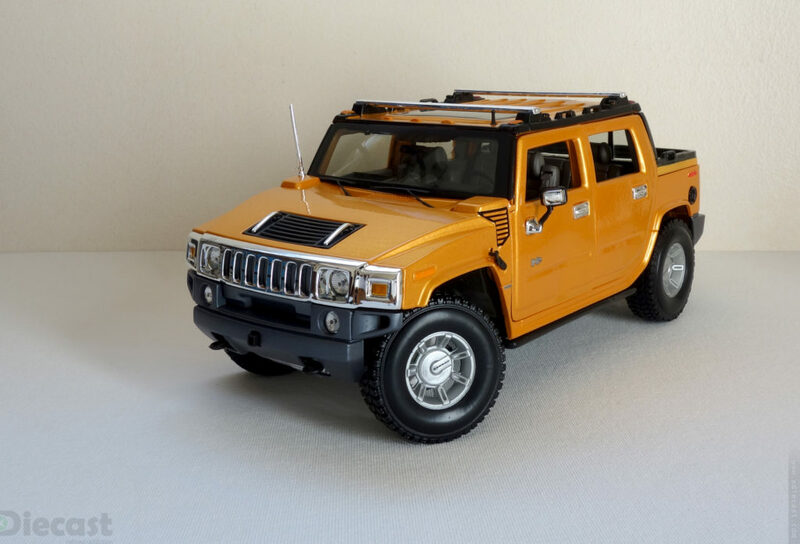 This is by far the best looking hummer in my arsenal(baring the Exoto Hummer H1) and that might be due to the shade that this Hummer sports. 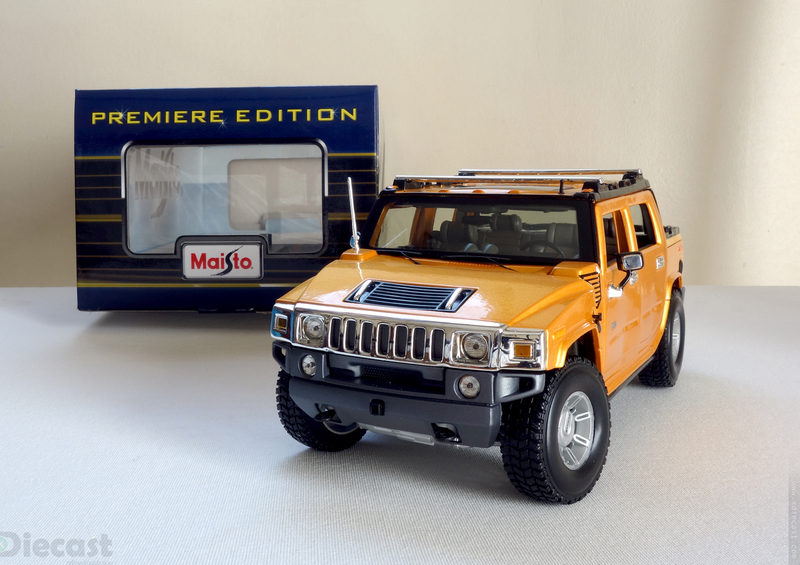 Then the details looks so cool than the other Maisto Hummer H2 that I own, thanks concept car factor and bright nicely done paint scheme. One thing that is missing is the roof mounted infrared night vision system. As mentioned earlier this H2 SUT looks bit more exclusive than other Hummers because of the generous use of chrome and this is done in a very good way. This mostly looks like a glorified Hummer H2 but that comes into your mind only if think about it as this guys donor car. 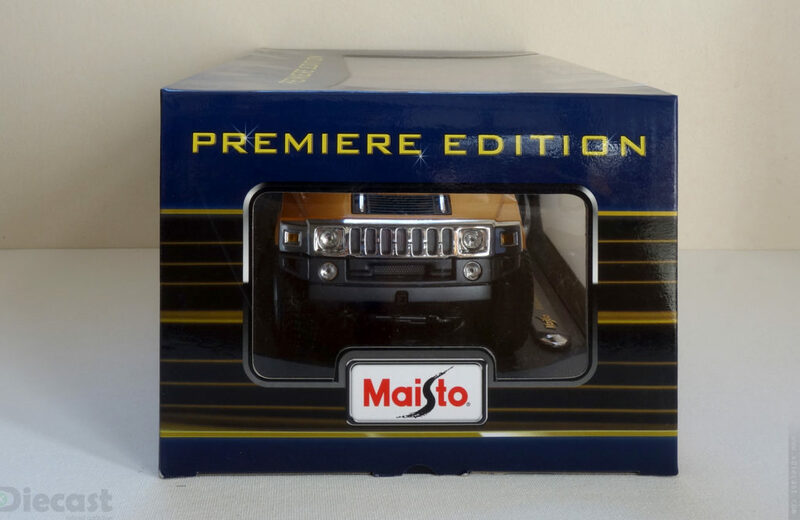 I have to admit that this is by far my favorite Hummer in my collection… Just like any motorhead, I love Hummers and this being my long awaited model I am going to do something special and that for sure will enlighten your senses. 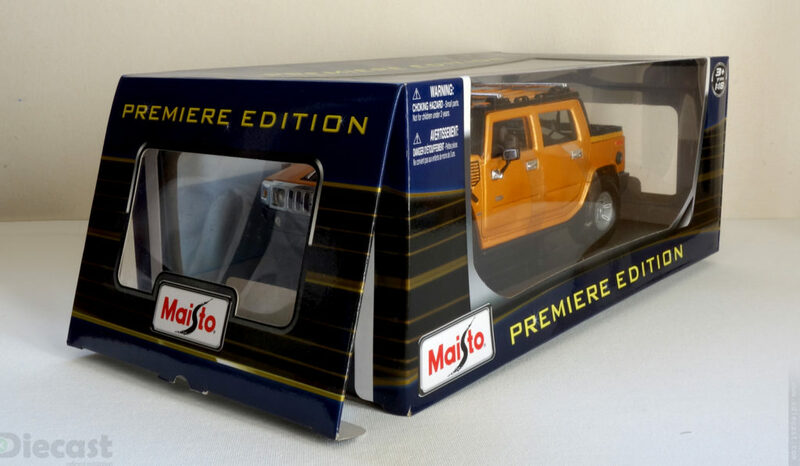 But it is going to take some time because I have strong bond with this Hummer, both in real life and also in this scale model collectors world. So please hold on and enjoy other exciting stuff that are lined up for you. Till then, Ciao.